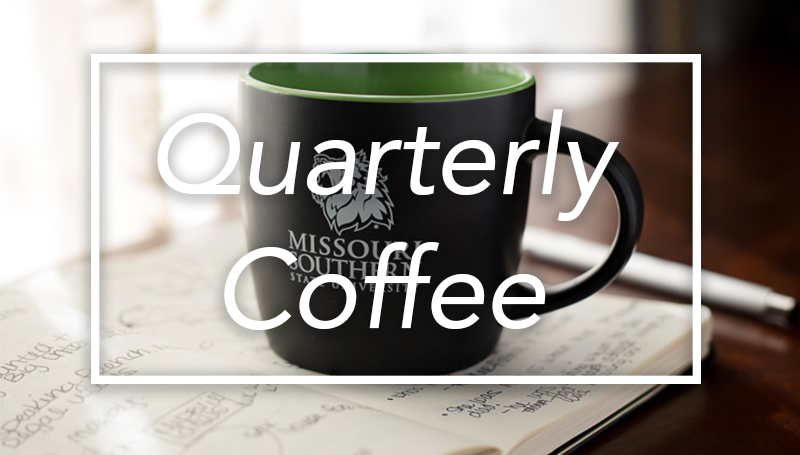 The next Quarterly Coffee/New Employee welcome is set for 8 to 9 a.m. Friday, Oct. 27, in Room 309 of Billingsly Student Center. Sponsored by Human Resources, all employees are invited to the event, which will include refreshments and recognition of the newest members of our campus community. Please come show your support and share your pride!